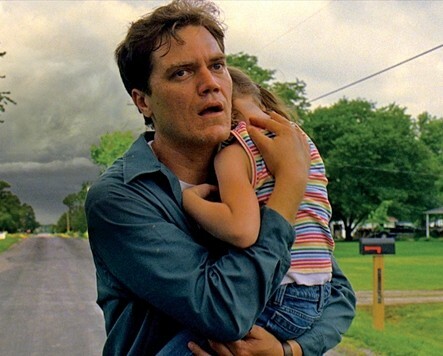 There is not a moment in the film, Take Shelter when we see Curtis LaForche (Michael Shannon) unaffected. Given this slippery slope of a premise, we end up with a pretty clear vision of Curtis as a man prior to the point where apocalyptic night terrors started to overwhelm his decision-making process. This a credit to an incredibly the incredibly deft prose and direction of Jeff Nichols, as well as the wonderful, career making performances of both Shannon and the incredible Jessica Chastain. Starting out right after one such dream, we see what is as close to a normal morning and work day for Curtis, his wife Samantha (Chastain) and their hearing impaired daughter Hannah (Stewart) as we shall get for the rest of the movie. As time goes on, we see the dreams continue and vary, while not necessarily getting more extreme. We see Curtis turn from a slow cautious man, to a deliberate planner who is preparing for the storm he believes will come. Matching him move for move is Samantha. She notices his changes and subtly counters with the kinds of questions and responses that only someone who loves their spouse could do. These things are done without forethought. We can see there is something beneath the surface. It’s to the credit of the performers that we don’t know what that thing is. Their daughter, who is the one constant to each of Curtis’ dreams, expresses little, but, like her father, one can tell there is a lot going on in there. Her parents come upon an opportunity to help her with her hearing problem, predicated on Curtis’ insurance that he has through his job. This job, like much in his life, depends on his reaction to these dreams. In his back yard, near a pile of trash, there is an old, unused storm shelter. Curtis begins to clean out the shelter and eventually begins to make preparations. What happens from here, I will leave for you to decide. The classification of the film, whether it is drama, Sci-Fi, horror, fantasy, depends on how you view the last 5 minutes. Very few movies can leave you breathless and satisfied. This is one. What is easy to recognize is Shannon’s and Chastain’s performances as worthy of Oscar consideration. That they did not get nominations is somewhat surprising, at least in Shannon’s case. Chastain was nominated (and stands no chance) for her magnificent performance in The Help. I can’t help but wonder how in the world Brad Pitt, Gary Oldman or especially Jean Dujardin’s mugging performance (Life is Beautiful, anyone?) could have anything on Shannon’s subtle, humble and shocking portrayal. As a father I feel the struggle Shannon so clearly demonstrates for Curtis. Life does not take time describe danger to your family. Vigilance, though, can be as much a detriment as a virtue. The movie won several film festivals, but seems to have disappeared now that the awards season has come up. 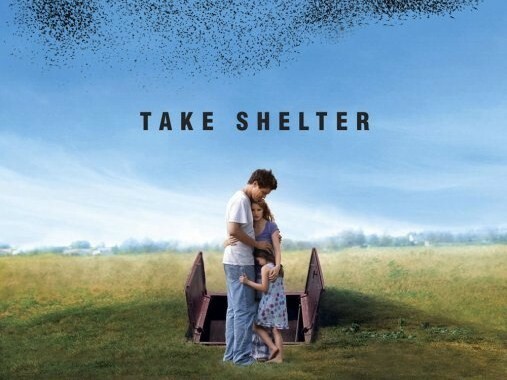 Jeff Nichols has every right to be proud of this film, though. In the near future, he has the potential to take a Chris Nolan type of turn. Anyone can make a movie with special effects. Not everyone can make a movie without them special. This is the best movie of the year.